In Cabo, the Expedition Readies! The Newport Beach to Cabo San Lucas Race is almost done and Bodacious IV has done well. It’s been quite a struggle with the light winds; the first day saw them only make 100 miles progress. On a normal day, Bodacious IV can easily sail close to 200 miles! Right now in Cabo, it’s Thursday at 16:20 PST and from what we can tell, Bo IV is within 15 miles of the finish, and we expect her here within two hours. The Bodacious Dream Expeditions crew and I are heading down to the finish line area now to watch and greet the guys. They have sailed a great course and race, and if things hold out, they will have finished as the second boat in their section, but we’ll have to wait until the ratings are calculated to find out their final corrected position. A great accomplishment for what is really only their second serious race with the boat! Congrats to all the guys … to the drivers … Jeff, Christer, Chris, Matt and Alan and to the trimmers … John, Phil, Jim and Tim! 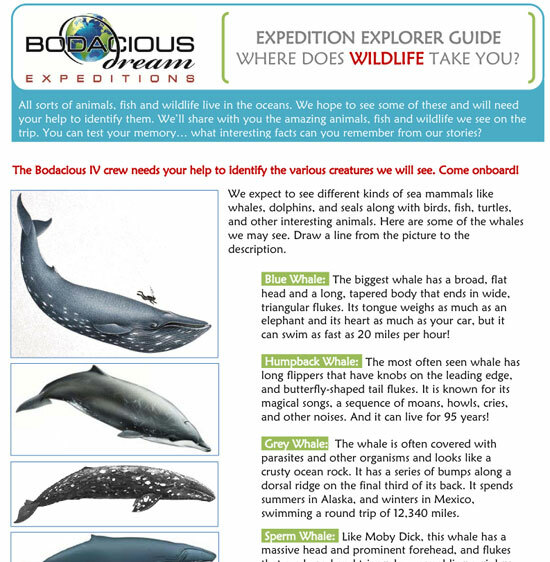 :: The Upcoming Bodacious Dream Expedition! With the relative slowness of the race, we probably won’t likely start our BoDream Expedition until Saturday the 30th. We’ve got some things we need to do onboard before we take off – such as stock provisions, fuel as well as clean and change the prop from a racing prop to a more efficiently powered prop for motoring purposes. And naturally, we want to give Bo IV’s Captain Tim Eades a chance to rest up a bit! So, once the dockside celebrations are over for Bodacious IV, the deliver crew and myself will hit the boat and start cleaning and preparing for the trip while the racing crew relaxes and refreshes. Moving forward to the actual Expedition game plan, our Bodacious Dream Expeditions website is almost complete with information on the Baja Peninsula Expedition. The Live Latest Updates page on the site is where ALL new posts will go first … and it will carry the chronological stream back to the start. Our Bodacious Dream Expeditions Facebook page is also ready to keep you updated as well. For those of you who do Facebook, that will be an easy way to keep up with the daily updates. So, LIKE us over there … to receive those updates in your newsfeed. • First off, I’d show them the website and help them read through the front information pages. • Then, I’d go to the “Expedition Overview” section and print out the Baja Peninsula page. This is a few pages of information about the Baja Peninsula and should be quick and easy reading. At the end, is the Baja map to Baja Map to print out. I would put the map up on the refrigerator, so we could mark off and keep track of the progress each day … as the daily updates come in from Bodacious IV. My broader hope in all this, is to find new ways to share the wonders of the majestic ocean, the excitement of sailing as well as the pure fun of sharing new experiences with you. We would like nothing more to awaken dreams in the minds of youngsters, such that one day we may see them (and you as well) out on the ocean and exploring the wonders of the Earth on their own. So, send along any questions, ideas or suggestions you might have. Use the BDX Contact Us form, or the BDX Facebook page or … oceanexplorer@bodaciousdreamexpeditions.com is another good address. We more than welcome your input! Thank you one and all! BoDream News / Excitement Builds for Cabo & Beyond! Well, it’s getting exciting around here! The Newport Harbor Yacht Club’s Race to Cabo San Lucas is just a few days away. The Captain of Bodacious IV, Tim Eades and I brought Bodacious IV up from San Diego where she has been for the last month getting ready for the race. It was a 70-mile trip and we left at the crack of dawn in a thick marine layer of fog – motoring all the way up to Newport Harbor. The sun burned off much of the fog by afternoon, and though it was a motor trip, Tim and I had a chance to relax a bit and to reflect on the enormous amount of work accomplished in the last month. With great help from many of the folks in the San Diego Area, we were able to take Bodacious IV from a “taken apart and shipped” state to fully-rigged and race-ready. The great folks at Driscoll’s Yard helped with the heavy work of installing the keel and rudder, stepping the mast and launching the boat. The gang from Rigworks handled much of the rigging and tuning, while Patrick and the guys at North Sails helped to make the sails just right for the boat. Then there was Russell at Seatech who helped us with the watermaker … in addition to the many other good folks in the area who played a part in bringing Bodacious IV back to strong racing form. Many thanks to everyone! Bodacious IV in the foreground, Dorade second (winner of the 1938 Trans-Pac) and behind her is War Path … previously sailed as the famous Nitemare of Chicago and the Great Lakes. 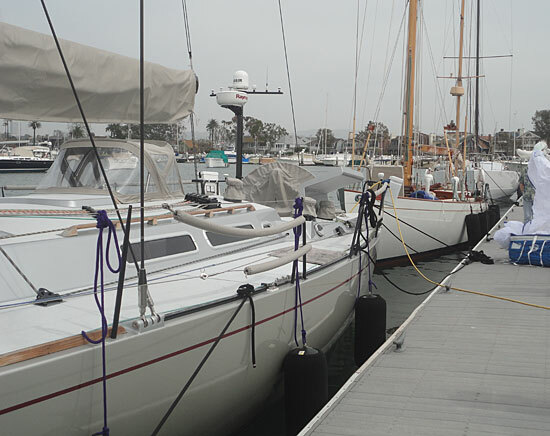 All are here preparing for the Cabo Race at the Newport Harbor Yacht Club. While I won’t be onboard for the race this time, I will be heading down to Cabo to help return the boat to San Diego, which will mark the beginning of our new adventure … Bodacious Dream Expeditions! … a series of fun, periodic voyages of discovery and learning as we move towards sailing Bodacious Dream around the world! Our plan right now, depending on conditions of course, is to leave Cabo on March 29th. 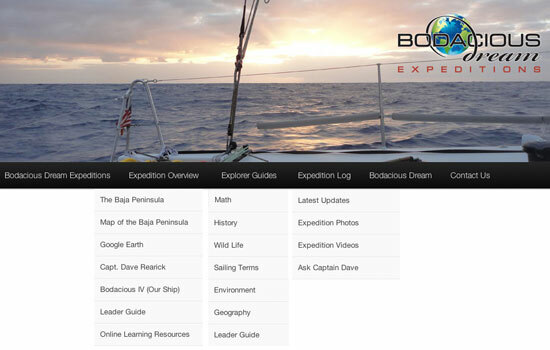 In preparation for the expedition, we have launched a new Bodacious Dream Expeditions website and a BDX Facebook page as well to help us to share the 5-6 day experience with you and also to help bring fun facts and information to kids .. and people of all ages. If you have kids in your life who you think might find this of interest … we encourage you to follow our progress with them. Check out these new pages! 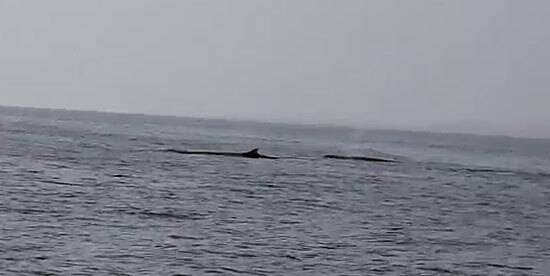 As if to genuinely welcome Bodacious IV and us back to the Pacific Ocean, Tim and I had a special treat on our trip up from San Diego, when we encountered two whales frolicking along the coast. What a beautiful sight to see them swimming along in such immense majesty and grace. 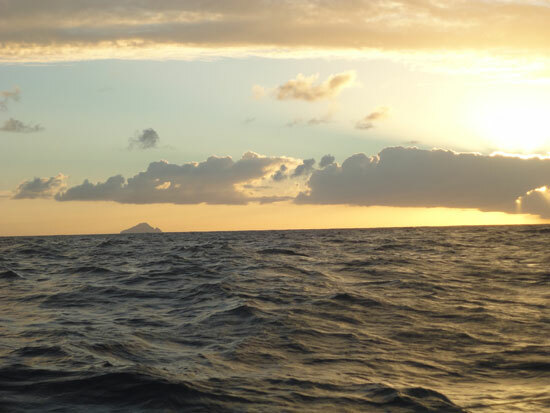 During our expedition up from Cabo, we hope to have and share more of these magnificent experiences with you. And finally … with spring knocking at the door back home in the Great Lakes, I’ll be back in the Midwest this weekend at Crowley’s Yachtapalooza, giving another talk on Saturday, March 23rd at 10:30 am. Yachtapalooza is a great event that takes place at their lakeside boat yard on the South Side of Chicago. They’ll have all sorts of displays and information or just hang with other sailors and catch up on a winter full of stories. Following my 30-minute talk, the Great Lakes Singlehanded Society will be introducing solo sailing to anyone who is interested. So, if you’re looking to get into some of this crazy solo sailing stuff, that would be a great place to start. Here’s the full Yachtapalooza Schedule of Events. Hope to see some of you there. If you are, be sure to come say hi! Changing w/ the Seasons – Big Plans for 2013! I’ve been back home here in the Midwest on the shore of Lake Michigan for about a week. 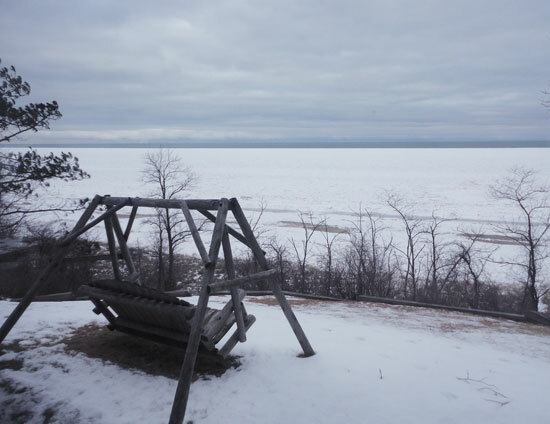 Late winter here has been on the dismal side – cold grey days with rainy snow and an ice shelf a few hundred yards out into the water. But I know this lake, and I know it won’t be long before the season changes. While Bodacious Dream rested in Charleston, South Carolina after her trip across the Atlantic, I spent a few weeks in San Diego, CA helping my friend, Captain Tim Eades prepare the striking 52’ Bodacious IV (a fellow ship to Bodacious Dream) – for a couple of big ocean races on the West Coast of the U.S. this summer. The first of these races will be the Newport Beach, California to Cabo San Lucas, Mexico Race – an 800-mile race that begins March 23rd. You know, when you’ve been sailing for a while, and especially after sailing a boat like Bodacious Dream across the world’s oceans, you learn that sailing isn’t about forcing the environment to adapt to your boat, but rather about staying responsive – about trimming your sails and adjusting your helm to the changing forces of the environment around you. Not much different on land. The change of the date for the Global Ocean Race, that I was entered in this fall, to the fall of 2014 has allowed us to adjust our plans and use this year to take Bodacious Dream in a unexpectedly fantastic direction! Here’s how this year of living bodaciously is shaping up. We’ll start the summer racing Bodacious Dream once again in the Atlantic Cup Race on May 11th, that runs from Charleston, SC to New York City and then to Newport, RI. It was such a great event last year, and this year, with even stronger competition, it promises to be even more fun! Our media coverage on this race will be a big step up from last year! After the finish of The Atlantic Cup, we’ll stay in Newport to begin preparing Bodacious Dream for a trip around the planet! Yes, that’s right … Bodacious Dream and I are going to sail around the world! I will follow the same course that the famous races take, but … without the race, I’ll be doing it in a less formal way. This will allow us to create a dream itinerary, but also to take advantage of all sorts of unexpected opportunities that might arise. We’ll be outfitting Bodacious Dream with a state of the art satellite communications system, which will allow us to upload photos and videos right from the water! This will enable us to share with the world the full bodacious experience online – both on Facebook and on the web through our Bodacious Dream website, as well as on a new website we are currently building … called Bodacious Dream Expeditions! From the beginning, one of the cornerstones of Bodacious Dream has been to share that Dream with the wider world … and now, working with our partners at the Earthwatch Institute, we will be able to explore, highlight and capture what we see as we go on our global expeditions, at the same time we allow you a “window” through which to join us, and to share in the discovery of the many oceanic wonders we’ll encounter along the way. The racing format, as exciting as it is, limits our ability to do much more then concentrate on sailing quickly from one harbor to the next. This new expedition format will give us the chance to follow the winds of our curiosity as we explore the sea around us, and then to share that story with you – wherever in the world either of us might be at that moment. Our first expedition is coming up very soon here – at the end of March! While Bodacious Dream remains docked in Charleston, we will take the opportunity to run our first Bodacious Dream Expedition aboard Bodacious Dream’s fellow ship, Bodacious IV, as we sail her back to San Diego, California, after she completes in the race to Cabo San Lucas. Onboard with me will be a crew of 4 talented and seaworthy friends. We’ll be armed with a couple of video cameras and a full satellite communications system that we’ll use to upload media reports via videos and photos as we move up this gorgeous stretch of Pacific Ocean coast line, teeming with all sorts of marine life. This setting will provide us a great opportunity to experiment with making our “expedition” as rich and full of fun and insights as we can. A big part of the Bodacious Dream has always been to reach out to young people and to foster new and more experiential ways of learning. Along with these Expeditions, we are developing an engaging set of explorer study guides intended for kids of all ages (and adults too!) – to play with and learn more about the marvels to be found along the coastline and ocean waters of the beautiful Baja Peninsula. We’re working right now putting the finishing touches on those materials and the Bodacious Dream Expeditions website, and we hope to have it ready before the end of this week. In the meantime, come visit (and “Like” us) at our brand new Bodacious Dream Expeditions Facebook Page. We hope that once you – our adult friends – see what we’re doing, that you’ll want to share this bodacious opportunity with the spirited youngsters around you. After all, happy and involved young kids are the future of any better world we might imagine, and guiding them to an understanding of the amazing wonders of the natural world, we feel, is a responsibility that we all share. Bodacious Dream and I look forward to having you onboard with us. So, please send along any questions or thoughts you might have. This new expeditionary direction is far more collaborative than competitive racing might allow for – so we encourage you to jump into the boat with us, right here at the start and help us shape what comes next. If you are a parent or adult friend, a teacher, or sailor, a lover of adventure – or if you know others who share a similar spirit … pass this on and let’s open the idea to the larger world. We all know that’s where the big fun awaits.